We previously posted an entire guide on how to Jailbreak the PlayStation 3 with an Android Phone and also that iPhone Dev-Team member MuscleNerd confirmed that the hack would soon be coming to iPhones. Well guess what, it’s here folks! The PSGroove / PSFreedom has been ported over to jailbroken iPhones but the interesting thing is that it is not by the same team which MuscleNerd talked about. It’s actually by a hacker who goes by the name of NTAuthority! 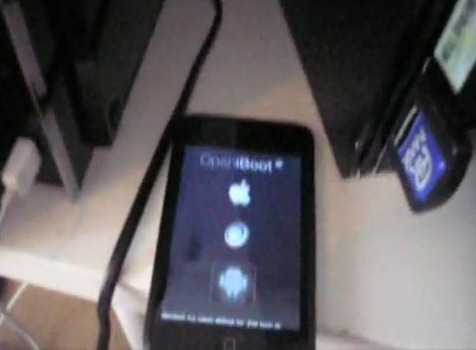 and he has used OpeniBoot method which was previously used to port Android on iPhone 2G, 3G and iPod touch. From what we’ve confirmed, the hack works on three iOS devices only for now, namely: iPod touch 1G, iPhone EDGE (the first iPhone) and the recently-outdated iPhone 3G. The device must, of course, be jailbroken.